This record is manufactured for the purpose of promotion only. 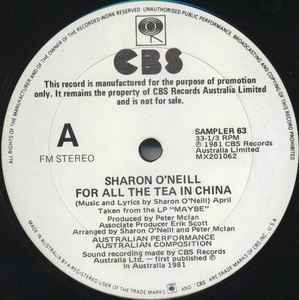 It remains the property of CBS Records Australia Limited and is not for sale. Taken from the LP "MAYBE"